September 27th, 2017 turned us 12 years old and by the age standards, we have entered the teenage stage. At such a proud moment, this fact, makes us realize that still there is a long way to go. As everyone’s availability on 27th September was bleak, the celebrations were pushed 10 days behind, that is on the 07th day of October, which made it more favorable as it was a Saturday. The venue was the amazing resort at Rajiv Gandhi square- Sangam Palace. Finally, the day came and despite being a Saturday (which is usually an off) there was a festive sense which had already set in, since a day before. The starting time was 5 PM and there was a surprise for on-time comers. The response was overwhelming and the surprise was a red carpet welcome with two amazing hosts Anshul Jain and Anshika Harjani. It was no less than Academy awards as the hosts asked to share the feelings of every red carpet guest. Enter the venue after crossing the red-carpeted pathway, and there was an open ground, all embellished. The circular tables with chairs around them added to the beauty as well as the spirits of the event. By the stroke of 6, the whole place was filled with people beaming with excitement. The prodigious stage was all set with a massive screen at the back of it which ensured everyone had a good eye on the proceedings. As the evening was setting in, the hot and humid weather of the day started to wane and soon with the onset of the blackening sky and the glowing lights, there was a breeze which cooled down the ambiance. 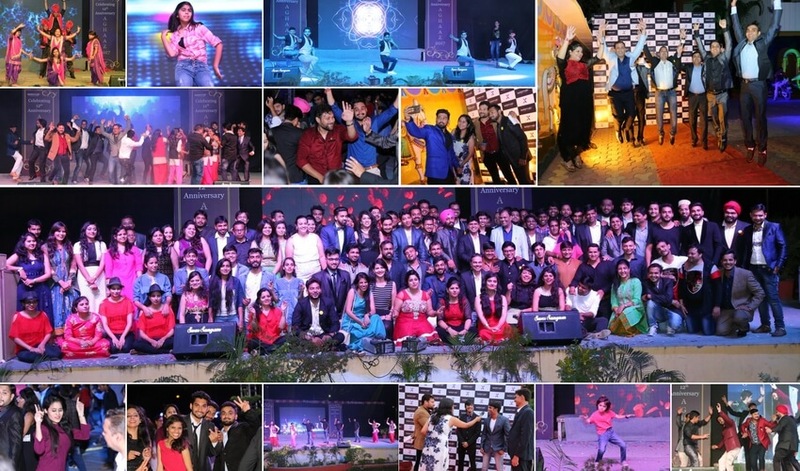 The stage event began at 6:30 PM which was majorly packed with ecstatic dances, melodious singing and an intermittent award ceremony to felicitate the performers of the quarter. 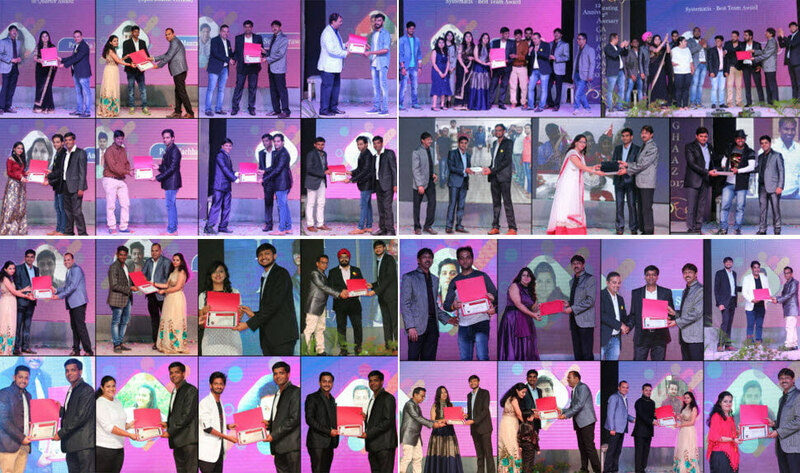 There were 25 performers across these 13 categories from a myriad of departments like- UI, UX, Open source, IoT and Big Data, Digital Marketing, E-Commerce, Sales, QA and more. The cultural programme was a remarkable blend of varied dance forms, beautiful ramp shows, a hilarious skit and much more. 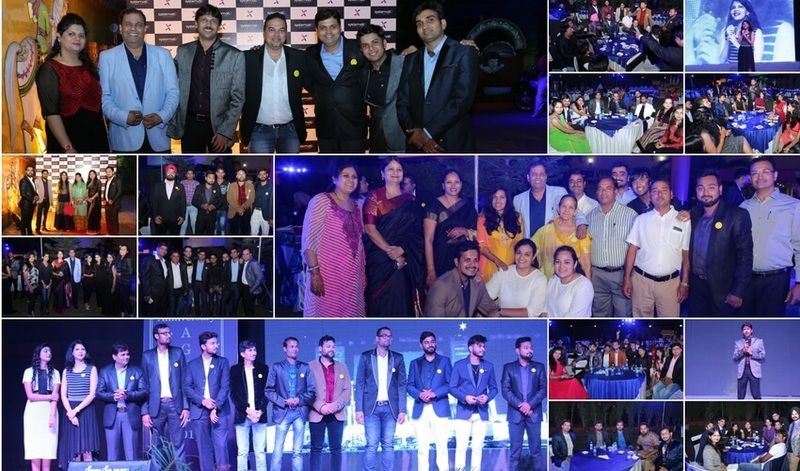 The event went on till 11:00 PM and was followed by a DJ party. The 12th year had ended and we stepped into the 13th, marking yet again a new beginning to move forward with the invaluable learning of the past and confidence of the conquered heights.